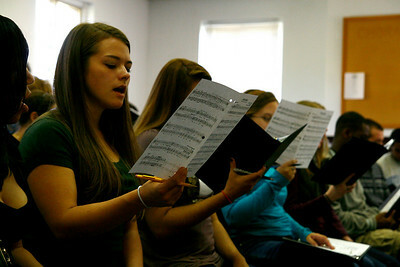 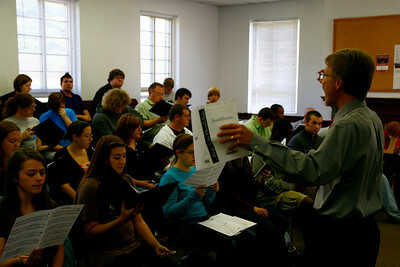 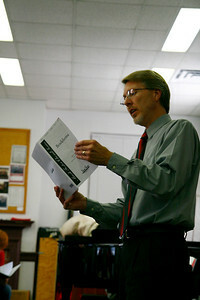 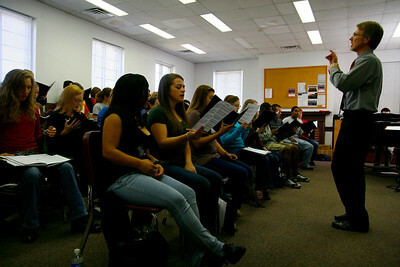 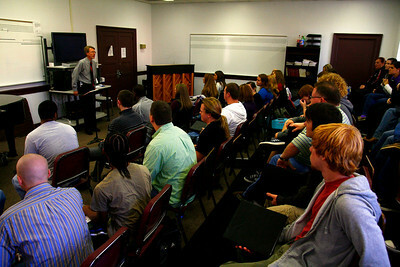 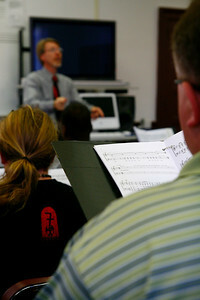 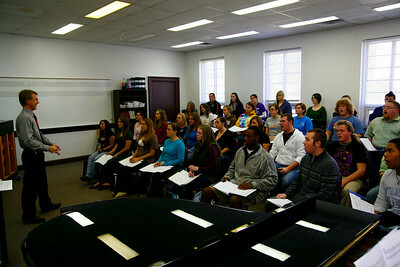 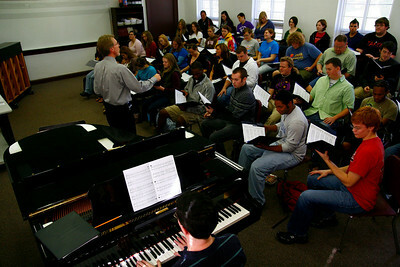 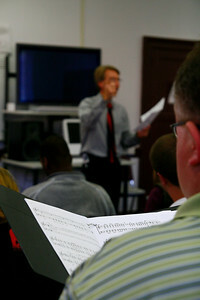 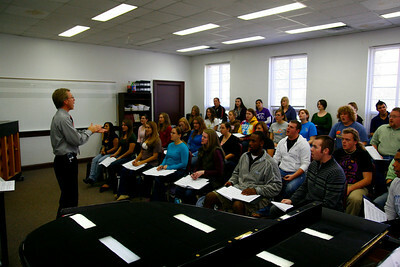 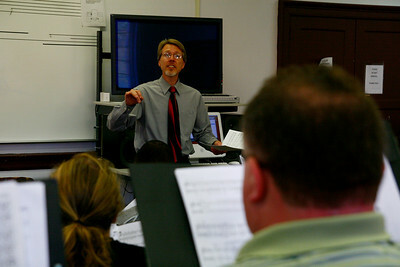 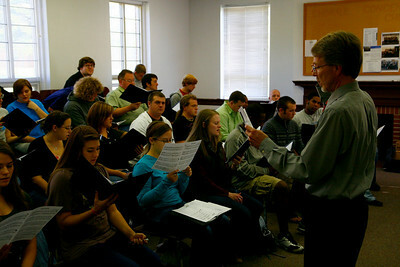 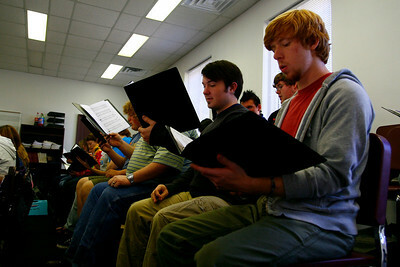 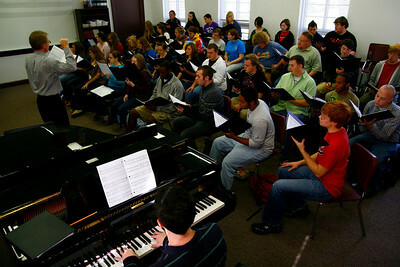 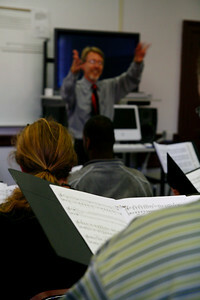 The Gardner-Webb University Choir rehearsing for the upcoming Festival of Lights Concert. 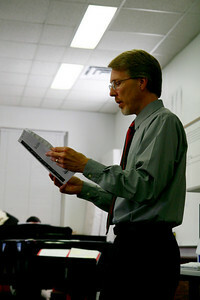 Dr Etter instructs the students on proper diction and style. 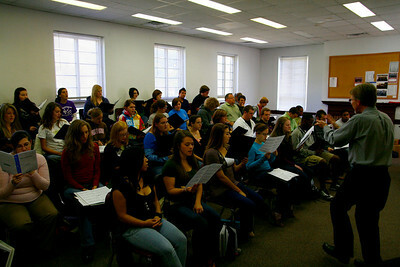 This year is the largest the Concert Choir has ever been.